Then he told me about it. Bubba said, “I got on my Harley and went looking for ol’ Randy who used to be a old fishing buddy of mine. That sumbitch didn’t ever want to do anything but fish all his life. He was a self employed heating and air man and he made pretty good at it, too. I been looking for him for a while since he disappeared, but this time I had a lead on him and I found him. ”I pulled up to this pretty nice house-maybe about 1400 square feet that was nestled up to lake Weiss. I walked around the side and there was old Randy sitting on the dock fishing. I asked him where the hell he’d been and he told me that he was retarred. He said he figured out a long time ago that if he kept his needs simple, he could retire when he was 54 and not do nothing but fish. “So he spent a couple of years building his house – said he only had $30,000 in it – he did all the work himself – and that was one really nice house – and he sold his business and most of his assets and retarred to the lake to fish. He fishes every day, rain or shine, cold or hot. ”After we talked a few minutes, we went to sit on the porch and Randy made some coffee. 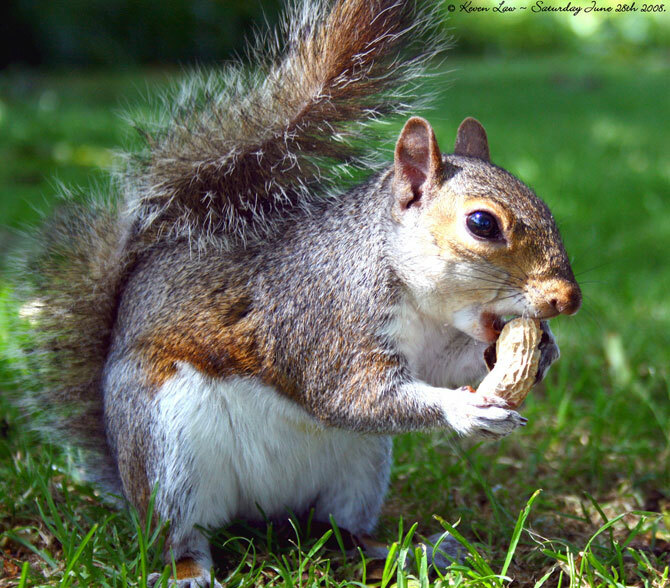 We sipped and talked about old times for a while, and then I seen the squirrel. 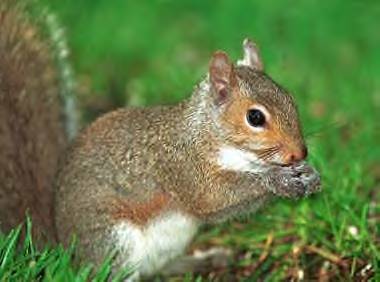 ”I told Randy that was the fattest squirrel I ever seen and he said: ’You ain’t seen a fat squirrel yet’ and he knocked on the porch rail like you would knock on a door. All of a sudden the tree in front of us was filled with fat squirrels like you ain’t never seen. ”I said damn, Randy, how many of them squirrels do you have? He said, ‘fourteen and. Homer’s the oldest. He’s my buddy’. ”I had noticed that the top of Homer’s head was all scratched up and bloody. I asked Randy about it. Randy said, ‘Well, ole Homer is constantly sticking his head into them squirrel nests trying to get familiar with some female and nine times out of ten she don’t want him to and she scratches him up pretty bad’. that he won’t get scratched to death? Bubba took a sip of coffee and looked at me as if to say, “I told you so.”He went over to the sink and rinsed out his cup. I looked at Bubba kind of funny, “You got a new job”? Bubba said, “Yeah, I’m going to be a professional squirrel trainer. I got to go set on the porch and get started. Time’s awastin’”. Would you like more Bubba stories? Let me know. I would love more Bubba stories. This is delightful! Dekie done read Diane and me your story. We like it! John, A story about Bubba and Homer would be fun. Sung to the tune of Figgy Pudding Song. Come on fans, sing! Oh, bring us some Bubba stories, oh, bring us some Bubba stories. And bring them right now. We won’t go until we get them, we won’t go until we get some. so bring some right now.